Ahhh, the finding of an early morning OTA update.zip file. My favorite. So yeah, the “official” Android 2.2 update for the Droid Incredible has been found and is ready for your manual consumption. It’s a pretty simple process that we’ll assume causes you no pain. Well maybe a little. *Note 1*– This is for stock non-rooted users ONLY. *MAKE SURE IT’S NAMED UPDATE.ZIP! 4. Press and hold the Volume Down and Power at the same time to boot into HBOOT. 7. When the triangle and exclamation appears, hold the Volume Up and Power button at the same time. 8. Using the volume button, scroll down to “apply sdcard:update.zip” and select it. 9. Your phone will now update! 10. It could take some time, so be patient. When it reboots, you are on official 2.2. Yay! Cheers Android Central for the Google Link! And cheers to everyone who sent this in! 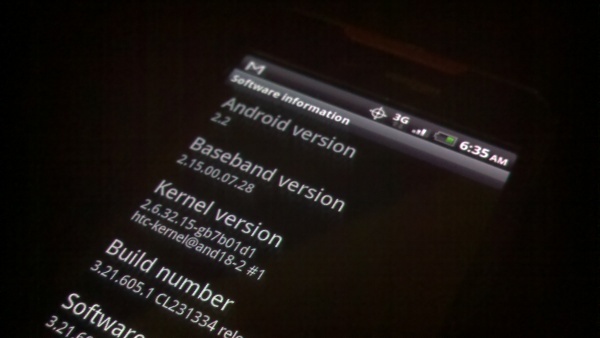 DROID Incredible Update Rolling through 9/3, DROID X in "Testing"